A6 Euro Flap envelopes made with Gmund Colors Matt (14) Marina paper. 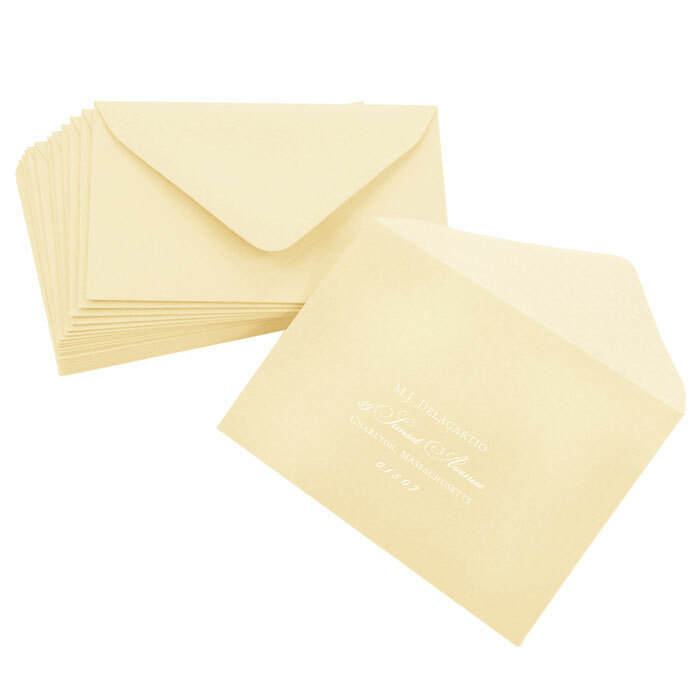 The deep pointed euro flap design is the first choice for formal invitations that require an envelope with style and distinction. Order envelopes blank or fully addressed and printed.